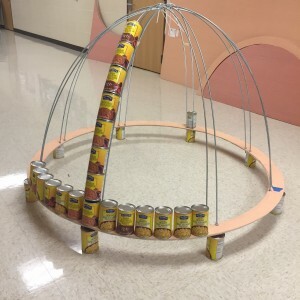 Structures once again teamed up with Anderson High School and SpawGlass Contractors to participate in this year’s CANstruction design competition for the Austin Area. 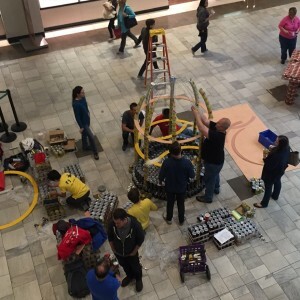 The event, which took place this past Saturday, invites architects, engineers, contractors, and students to build models made of canned goods and compete against one another for a handful of prizes and recognitions. Our design and build team remains as thankful as ever for our donors’ generous donations. 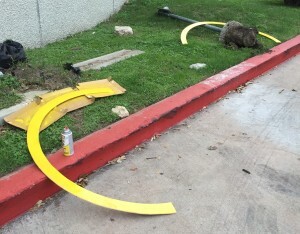 Our work, as well as the work from the other 10 teams, supports the efforts of the Capital Area Food Bank. Though we hit some snags during the design, we’re very proud of the model we made – Hunger Flew the Coop! We had a great turn out for support during the build, and everyone pitched in to find solutions to the design challenges. Our structure is an approximation of a birdcage, combining food and shelter into a single unit. The model is a reminder that it is often necessary to search for resources to ensure survival. In a perfect world, however, the search for food to alleviate hunger will not be a worry. It was a lot of work but also made for a great learning experience. If you haven’t had a chance to view our structure at Barton Creek Square we encourage you to visit ours as well as the models made by other participants in the event. 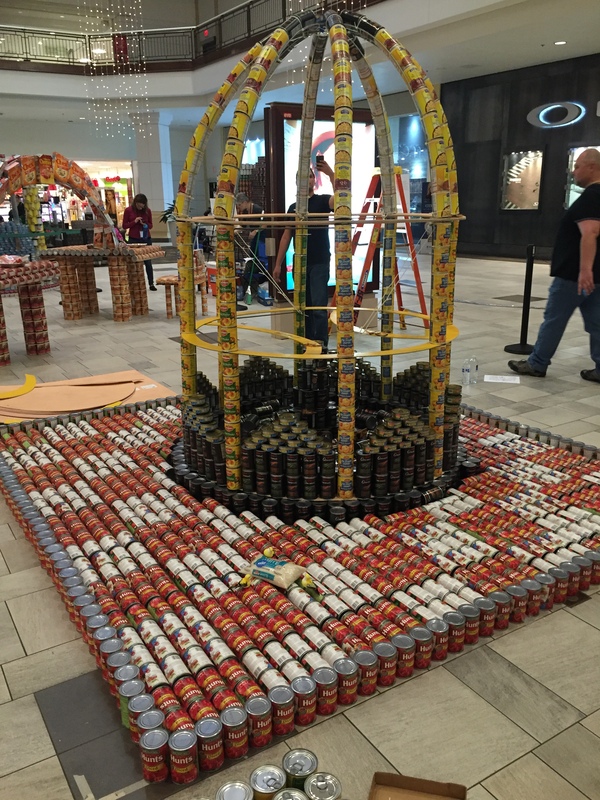 Many photos can be found on the Canstruction Austin Facebook page.